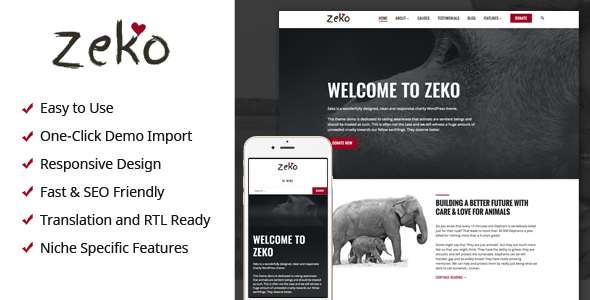 Zeko features modern clean responsive layout with many customization options available directly from the WordPress Customizer. It is, of course, translation ready and mobile friendly, so no worries your website will shine in the best light on all devices. Zeko is built using standard WordPress features; posts, pages, child pages, widgets and Customizer. No extra option panels to learn, no extra weight on your server. Just rock solid code and fast loading times and we all know uncle Google likes that .